Space is full of marvelous mysteries that leave us all dumbfounded and highly inquisitive to explore its wonders. Though it is impossible for any human being to unravel all the cases of the outer space, the collaborative effort of geniuses have contributed to unearthing the causes of various facts about our universe among those phenomena is the existence and functioning of the black holes. There are many interesting and unknown facts about black holes. The Philosophical Transaction of the Royal Society of London is a research work of John Michell in 1783. In it, he explained that a star that is full of mass and gas has an extreme gravitational attraction in its surface that it becomes impossible for the light to travel above the surface of the star. This happens due to the fact that light is both a wave and a particle. Since Roemer discovered that light travels at a finite speed, and that light is affected by gravitational force, he proposed that there must be many other stars like this and they remain invisible to us because their light never reaches us. But still, the gravitational force of such objects can be felt by those around them. These objects have been named the Black Holes. And we are here to list some of the most interesting facts about black holes. 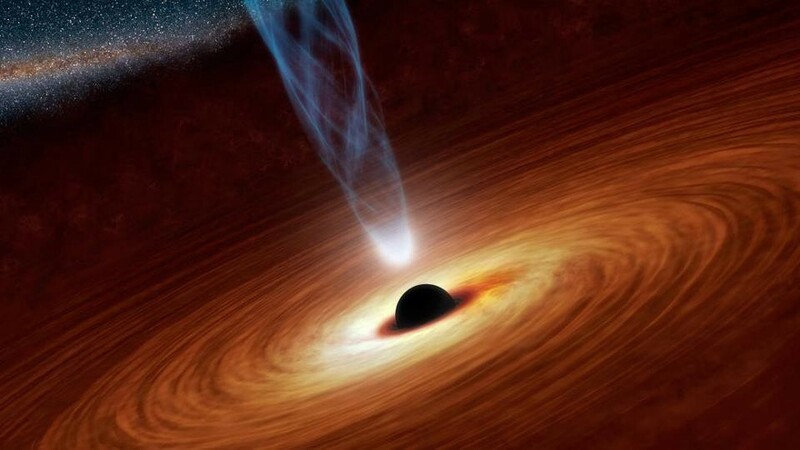 Here are the interesting facts about black holes you need to know! To know how a black hole is formed, we need to know first, what makes a star shine. A star is formed when a massive compact of gas containing mainly hydrogen collapses due to its own gravity ejected from its surface. As they shrink, the particles of gas collide with each other so excessively that an extremely strong heat generates that atoms of gas integrate to form helium. This heat is so hot that it ignites like a bomb and this excessive heat makes the star shine. The more massive the star is the hotter it needs to be and the hotter it needs to be, the more it will consume its fuel and massive stars quickly consume their fuel. So the stars who run out of their fuels end up becoming dwarf stars or neutron star. But if the star is more massive and runs out of its fuel, it eventually shrinks to a gravitational singularity, in simple words, it becomes a region having an extreme gravitational surface where there would not be any rules. One of the most interesting facts about black holes is that the one who sinks in it may experience an unheard phenomenon. These very regions are black holes. A black hole is a region in the space which has an intense gravitational field from which nothing can escape not even light. Its boundary is called the event horizon which coexists with the passages of light rays. One of the unknown facts about black holes is that the light rays attempt to spread out through the event horizon but are abstained by gravity. 3. Time intervals keep expanding in a black hole. The list of interesting facts about black holes is incomplete without the fact that time intervals keep expanding in a black hole. Let’s say you are an astronaut, you go into space and you get yourself into a black hole from therein you send signals to your friends who are in a spaceship that is orbiting around that black hole. The star at some point in time contracts to such an extent that the signals won’t ever reach them because the light waves emitted would scatter and would not reach the spaceship due to the gravitational attraction of the region and your friends will realize that the time period for the arrival of signals is getting longer and longer and the light from the star becomes redder and redder and finally invisible. 4. Your body will tear apart if you get pulled up by a black hole. As you fall in a standing position where your feet are directly coming in contact with the surface of the star, the gravitational attraction will be more on your feet compared with your head. This variance in the forces will stretch you giving you an appearance of spaghetti or may even chop your body in two parts before the star collapses and reach its radius to form an event horizon. However, this would not bother you even if you reach the critical radius. 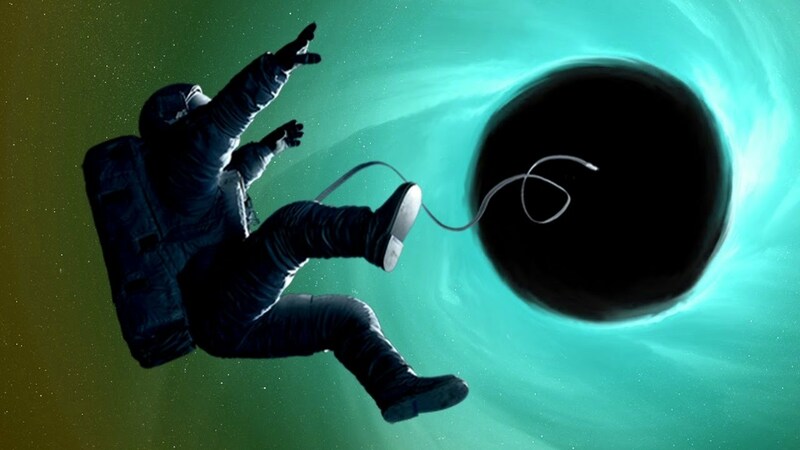 The interesting facts about black holes include that as the surface keeps on collapsing, the gravitational pull on your head and feet will become so severe that once again you will be separated in halves. This is what exactly happens when a star comes closer to a black hole, it gets dragged and torn in pieces. 5. Cygnus X-1 is evidence of the existence of black holes. John Michell in 1783, in his research work, informed that black hole’s gravitational force attracts objects around it. Astronomers, discovered at various places in the space where two stars are orbiting around each other, they attract each other through their gravity. However, one of the interesting facts about black holes is that a star was found orbiting around an invisible wide object. It had lost its matter from its surface as it got attracted to the invisible object also it moved in a spiral motion emitting really intense x-rays. Since the invisible object’s mass was found to be far more than a sun it was concluded it could be none other than a black hole. Nature is strange and massive. Many aspects of nature and science are unknown the human race. 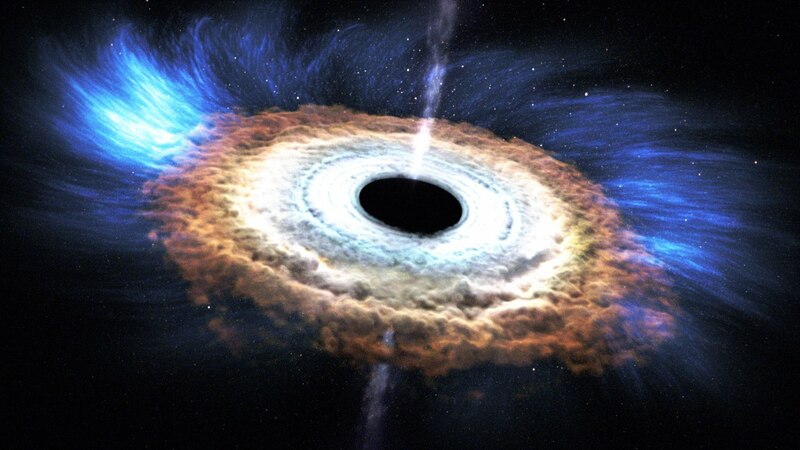 These are some of the most interesting facts about black holes that are known to us!